Our mission at the Virginia Sharks is to help our young student athletes grow up to be men of character, while teaching them about the game of baseball. Sports are meant to be fun, and while we all want to win, the most important thing is to make sure our youth continue to have a passion for the game, and a hunger to keep learning. Our desire is to teach them about teamwork, accountability, leadership, and competitiveness while learning the fundamentals of the game. The Virginia Sharks play local tournaments throughout the year in Salem, Roanoke, and New River Valley. We also travel to tournaments in North Carolina and other areas of Virginia. If you would like to schedule a doubleheader with our teams, please reach out. The Virginia Sharks have an outstanding coaching staff on every level, and our coaches have extensive backgrounds in the game of baseball at higher levels. Your son will be taught the game the right way, and he will learn from coaches that know how to teach it properly. The Virginia Sharks are on the cutting edge of technology with regard to their video production and photography. When you play for the Sharks, your games are filmed to watch online and photographed by our production staff. The Virginia Sharks 2017 season is here! Stay tuned below as we post the results from our league games and tournaments throughout the season. The Virginia Sharks 13U and 10U teams finished their fall 2017 seasons with tournament championships on October 22nd in Christiansburg, Va. The 10U Sharks claimed their 2nd tournament championship since opening play in their first season. The 10U Sharks finished 9-3 in tournament play. The 13U Sharks closed out strongly after a tough start to the fall. 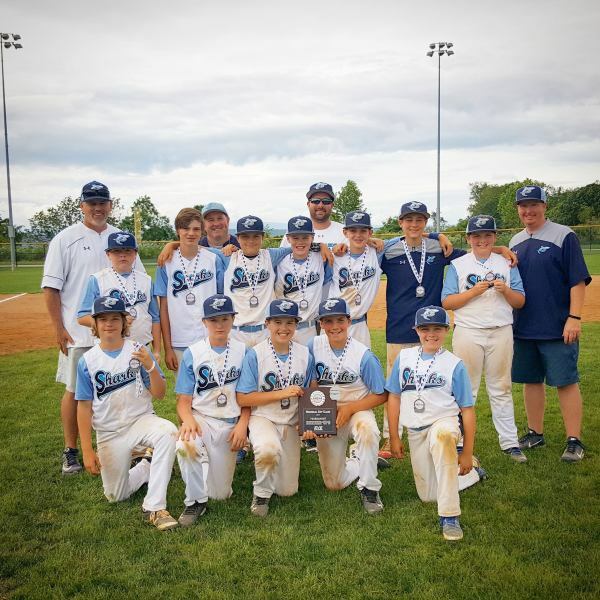 Since beginning in March of 2017, the 13U Sharks compiled an impressive 35-15 record that included three tournament championships. Both teams will begin preparation for the 2018 season starting in January. The Virginia Sharks continued to play stellar baseball at the NRBI Feeding Hunger Tournament on June 3rd and 4th. Led by pitcher Trent J, the Sharks finished the weekend with a 8-7 victory in the championship. Tyler G, Zach F, and Jack H all had solid tournament performances with several big hits and plays defensively. Camden H, Brenden S, and Braxton C, all contributed with stellar performances as well. The Sharks improved to 22-7 on the season and have now won 39 of their last 50 games. The Sharks continue their season on June 11th at home in Salem, Virginia with a doubleheader. 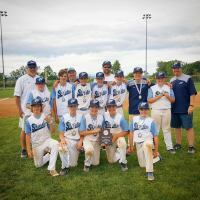 The Virginia Sharks finished as Runner Up in the USSSA Memorial Day Bash in Christiansburg, Virginia on May 27th, 28th. The Sharks captured the championship berth by going 2-0-1 in pool and bracket play. 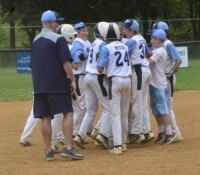 In the Championship, the Sharks fell to the NRV Thunder 13-2 . It was the first loss to the Thunder after previously beating them twice earlier this season. The Sharks will continue their season on June 3rd and 4th in the NRBI Feeding Hunger Tournament at Harkrader Complex. The Virginia Sharks traveled to Harrisonburg, Virginia on Sunday May 21st to take on the Cavemen in a twin bill. The Sharks took the first game of the doubleheader 11-5. A 7-run explosion in the top of the 4th proved to be the difference. Brenden S, Camden H, and Trent J, all pitched in the victory. In the nightcap, it was the heroics of Connor W. that allowed the Sharks to claim their 5 consecutive win as he walked off the Cavemen with a bases loaded single to left. Connor W had a 3-2 count with two outs, and found a way to come through. Rhett M, Sam W. and Trent J, all delivered clutch hits to load the bases. The Sharks improved to 16-6 with the win. The Virginia Sharks claimed their 3rd straight come from behind victory, this time against the Maroon Crush 6-4 in Blue Bridge Travel League competition. The Crush came to Salem to take on the Sharks, and jumped out to an early 3-0 lead. The Sharks rebounded in the 3rd inning with an RBI single by Rhett M that scored Trent J. That made the score 3-1. After an error by the Crush, Grant K. scored to make it 3-2. The Crush added another run in the following inning, but a 4 run 3rd inning for the Sharks proved to be the difference. Brenden S. walked and then scored on Camden H's single, and Grant K. knocked in two runs with a double to center. Braxton C. then followed that with a double to right field, and the Sharks pulled ahead for good 6-4. The Virginia Sharks celebrated Mother's Day 2017 with a pair of thrilling 7-6 victories over the visiting NRV Extreme. In the first contest, the hero was Zach F. who had the walk-off game winning hit that scored Jack H. to secure the victory. Grant K. had a two out 2 RBI single late to help tie the game, and the Sharks captured the victory in the bottom of the last inning. In the 2nd contest, Connor W, Rhett M, and Trent J, all contributed heavily to the win. Brenden S.'s go ahead RBI single in the top of the 5th game the Sharks a one run advantage heading to the bottom of the inning, and that was all Trent J, needed on the mound. He retired the meat of the order to help the Sharks improve to 13-6 on the season. The Sharks return to action in Harrisonburg on Sunday May 21st. The Virginia Sharks opened their home schedule with a doubleheader on April 9th against the Cavemen and the Maroon Crush. In the first game against the Cavemen, the Sharks jumped out to a 4-0 lead in the bottom of the 1st inning, and then held on for a 5-3 victory behind the pitching of Camden H who gave up just 1 earned run to get the win. In the second contest, the Sharks were held without a hit, and committed 3 errors in a 11-0 defeat to the Maroon Crush. The Sharks are now 9-3 in their first 12 games of the 2017 season. The Virginia Sharks opened their April 2nd morning with a 12-2 thumping of the NRV Extreme. Pitcher W. Rakes was flawless in his first performance of the spring on the mound giving up just 4 hits in 4 innings of work. Trent J. led the way at the plate with two doubles that helped break the game wide open. In the second game of the day, the Sharks led 3-1 before 3 straight errors allowed the Killer Kleats to gain control. Kleats Closer Guhner Dunford shut the door with his 70 mph fastball, and the Sharks fell 7-3 to conclude their tournament. Grant K. finished the day with 2 hits and some great plays at 3rd for the Sharks as they improved to 8-2 in their first 10 games. The Virginia Sharks improved their winning streak to 6 consecutive games with two outstanding wins in the first day of the USSSA RBI Shootout on Saturday April 1st. 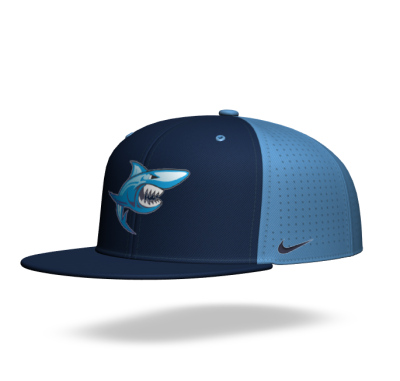 The Sharks defeated the NRV Extreme 14-10, and the Cave Spring Heat 7-4 behind the stellar play of Brenden S. He was 2 for 4 on the afternoon with a 3 RBI bases loaded double that broke the game against the Heat. Grant K, Zach F, and Jack H. each finished with multiple hits and runs scored. Sam W. also contributed a two hit performance against the Extreme, and Rhett M. delivered a nice base hit and scored 3 runs. The Sharks return to action on Sunday April 2nd. The Virginia Sharks improved their 2017 record to 5-1 after 3 consecutive victories in Radford, Virginia on March 25th. 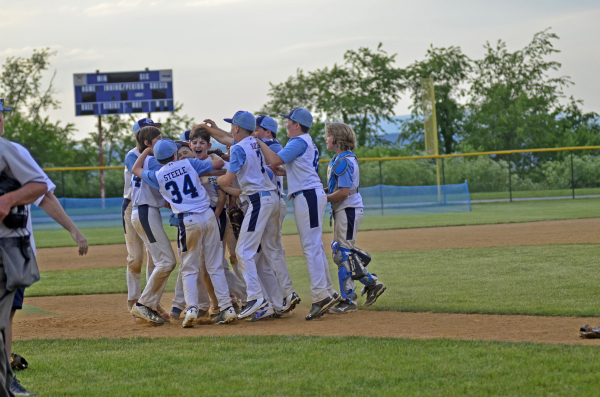 The championship game featured the Sharks and the NRV Thunder, and it was decided in the last inning in dramatic fashion. Connor W. led the Sharks on the day with 4 hits, including a huge two out single that helped position the game tying run at 3rd base in the bottom of the last inning. Camden H. scored to tie the game, and Tyler G. provided the winning run on a passed ball. Trent J. and Brenden S. both had big hits in the contest, and Jack H. pitched 4 strong innings of relief work after the Sharks fell behind 6-0 in the first inning. The Sharks will continue their 2017 season April 1st and 2nd in Christiansburg, Va. The Virginia Sharks began their 2017 season with two impressive wins against the Amherst Pride and the Maroon Crush on Sunday March 19th. The tourney, which was postponed until Sunday due to weather, showcased some of the best teams from the region. The Sharks lost in game two 8-0 to Team Virginia but rebounded to defeat the Crush 8-2 in the finale. Tyler G. pitched well in games #1 and #3, and Zach F. limited Team Va. to just 1 run in 4 innings of work. Camden H. and Braxton C. both had stellar days at the plate with multiple hits. Trent J and Sam W. also had big hits to help the Sharks get off to a good start. The team returns to action on March 25th. The Virginia Sharks will begin their 2017 baseball season in the USSSA March 18th Tournament in Covington, Virginia. The tournament will feature 4 teams, 3 of which are Blue Ridge Travel Baseball League opponents that will appear on the regular season schedule of the Sharks this spring. Stay tuned for a tourney recap as the Sharks get underway this spring! The Virginia Sharks 2016 Schedule has been released and has just begun. Stay tuned below as we post the results from our league games and tournaments throughout the season. The Virginia Sharks finished their outstanding fall baseball season on a high note by sweeping the "Stealing Bases Tournament" hosted by Nations Baseball. The Sharks beat the Velocity from Roanoke 7-5, the NRV Extreme 14-8, and the Yard Dawgs 5-4 to claim the championship. It was the second tournament championship for the Sharks this fall. In the final game, Carter D led off the top of the final inning with a walk and advanced on a single from Jack H. Then Brenden S. singled home Carter to give the Sharks a 5-4 lead. Jack H. then struck out the side in the bottom of the 4th and the Sharks preserved their 17th victory of the season! The Virginia Sharks got back on track with two solid wins over the Yard Dawgs on Sunday October 23rd. In game one, the Sharks scored in the bottom of the last inning on a RBI single from Zach F. that drove in Jack H with the winning run in a 4-3 victory. Camden H. Chase R. and Jack H. all pitched well in the contest. Zach F. had three hits in the victory as well. In game #2, the Sharks jumped out to a 10-0 lead and never looked back. Jack H. had two hits, and Blake C. added 3 himself with 5 RBI to help the Sharks win 12-4. Grant K, Owen H, and Chase R, also registered hits in the victory. With both wins, the Sharks improved to 14-4 on the season. The Virginia Sharks continued their amazing winning streak as they downed the visiting Maroon Crush in league play on Sunday October 2nd, 2016. The Sharks jumped up in the first inning of game #1 and never looked back as they cruised to a 8-3 victory. Wilson R. and Jack H. led the way on the mound, scattering 6 hits in the victory. In game two, the Sharks were paced by Brenden S. and Blake C. in the 7-1 win. Both contributed big performances on the mound and at the plate. Jack H. closed out the game in dominant fashion, striking out 4 in two innings of work. The Sharks return to action on October 9th. The Virginia Sharks defeated the Virginia Hitmen in two games on Sunday September 25th to improve to 9-1 on the season. Wilson R. pitched fantastic in 4 innings of work, striking out 3 and scattering 4 hits in the first game. The Sharks prevailed 10-8. In the second game, Brenden S. and Jack H. combined to shut down the Hitmen, giving up just two hits and striking out 11 in a 9-3 victory. The win was the 9th straight for the Sharks who are also undefeated in league play heading into October. 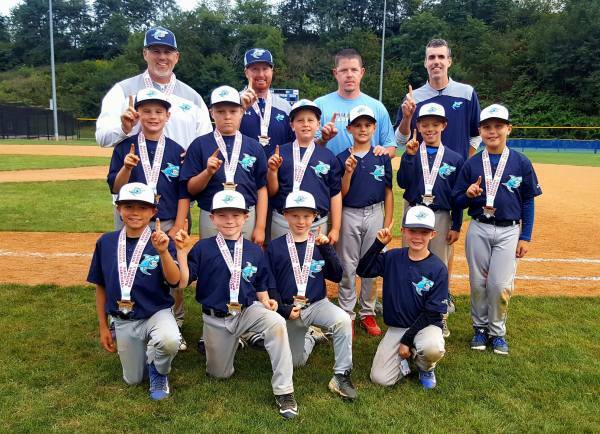 The Virginia Sharks improved to 7-1 in the fall baseball season after finishing 3-0 in tournament play on Sunday September 18th in Christiansburg. Sam W. and Camden H. provided the heroics at the plate in the championship game with the Sharks trailing by one run. Camden H. stole home to tie the game with two outs, and a few pitches later, Sam W. delivered a base hit to score Brenden S. from 3rd. The Sharks stormed the field and celebrated their first tournament championship together with a 12-11 extra inning victory! The Virginia Sharks improved to 4-1 in the fall baseball season with another impressive outing, this time against the Amherst Pride on September 11th. The Sharks were led by Brenden S., Sam W., and Jack H. in the two victories. Brenden S. pitched 4 innings of fantastic baseball in the 12-6 victory in game #1 against the Pride. He finished 4 for 6 on the day at the plate with an RBI and 4 runs scored. Sam W. and Jack H. both had big days at the plate going 5 for 6 in the doubleheader. Sam W. finished with 3 RBI and scored 3 runs, while Jack H. registered 3 RBI and scored 5 runs on the day. Brenden S. and Jack H combined to allow just 12 hits on the day. Steele struck out 3 in his 4 innings of work, and Hayes struck out 5 in 6 innings on the mound. The Sharks return to action on Sunday September 18th in Christiansburg.